Put simply, this is where you buy a share of your home – usually between 25%-75% – and then pay a subsidised rent on the part that you don’t own. Over time and when you can afford it, you can buy more shares, until you own your property outright. This is called staircasing and the more shares you buy, the less subsidised rent you pay. 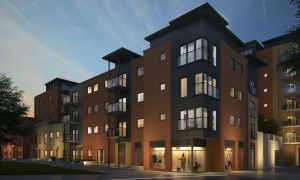 Housing Associations also offer resale properties which have already been bought through shared ownership in the past, and the owner is looking to sell their share and move on. You buy the share they are selling and pay a subsidised rent on the remainder. It is unlikely that you can buy fewer shares than the current owner has, but it may be possible to buy more. Remember that these homes will obviously be older and in more established communities. To buy a home through a shared ownership scheme, contact the Help to Buy agent in the area where you want to live. This scheme allows you to buy a newbuild property at a discount against the market value, but, when you come to sell, the same discount is applied to the current market value. This means that the discount percentage is carried forward forever. It is a great scheme if you want to buy in a high-value area and cannot afford to do so, but it is important to remember that this is only available on a limited number of newbuild homes and not all mortgage lenders will be keen to offer a mortgage to someone using this scheme. 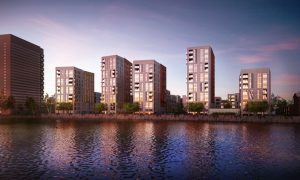 Berkeley Homes offers this scheme to people living or working in the Royal Borough of Greenwich, to purchase a property at their Kidbrooke Village development for 30% below the open market value. A limited number of one bedroom discount market sale properties are available in Meridian Gate, one of four unique neighbourhoods that make up Kidbrooke Village. 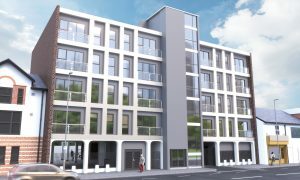 With asking prices starting from £330,000, eligible applicants could be living in a one bedroom apartment with a balcony or terrace for £231,000. Other additional benefits include a 24-hour concierge service and access to a residents-only landscaped area. The development is near to local cafes, schools (including two located on the site), and excellent transport links from Kidbrooke station, where it takes just 15 minutes to London Bridge. Specially created pedestrian and cycle routes also run through the Village, which is set within 136 acres of open space. To qualify for one of the discounted market sale apartments, applicants must be a resident or employed within the Royal Borough of Greenwich, earn a gross annual household income which does not exceed £66,000, be unable to buy a suitable home to meet their needs on the open market, not already own a home and be the owner of the new property.